What is There to do on a Thursday? In Northern Kentucky… Everything! 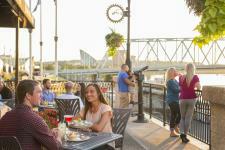 Summer is here, and there is no shortage of entertainment, tastings, and opportunities to connect in our community. 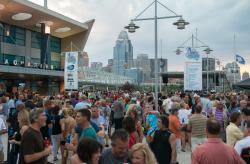 Italian Fest – Located in Newport, KY, this festival offers authentic Italian food and live Italian music performed by entertainers from around the nation and from the old country. 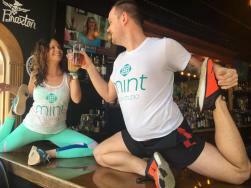 Beer Yoga - Mint Studio Yogalab – Move a little, drink a little, and most certainly laugh a lot during this lighthearted, fun-filled practice! 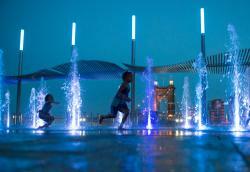 Live at The Levee – Enjoy the evening on the Levee listening to the sounds of Jamison Road, an indie country music trio. Turnpike Trivia - Grab a drink, taste some local food and enjoy great trivia! Looking for more? Check out the Events Calendar on our website.